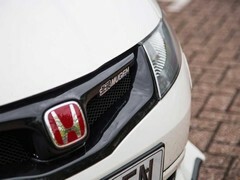 There won't be another fast Honda in the conventional VTEC sense - time to try one of the last then! Here's a sad fact for you: the Suzuki Swift Sport is the last naturally aspirated hot hatch on sale. Everything else you can buy, from a lowly Fiesta Red to a BMW M135i, has some form of forced induction. Many of them are very good, but aren't hot hatches more than any other car about chasing every last rev for whatever performance is there? Don't misunderstand, some of the latest hot hatches are truly excellent, but - cliche alert - something about the experience has been lost in the move to turbos. Shy and retiring it certainly is not! So when the opportunity to spend some time in a hot hatch that couldn't possibly be more about revs and less about low effort torque, we jumped. Well, I did. To say I have a thing for fast Hondas might be underplaying it. Heck, I even got a pretty ropey Accord into Shed. 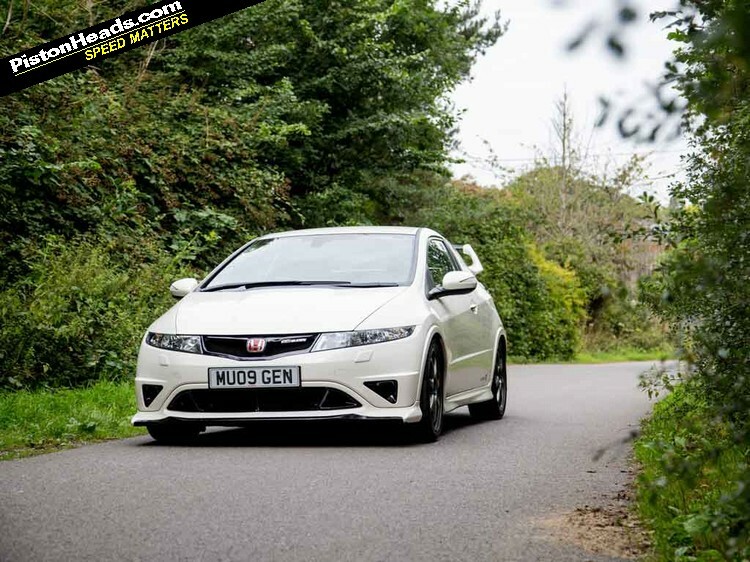 Even at low revs, the Mugen's incredible response and willingness is exciting. 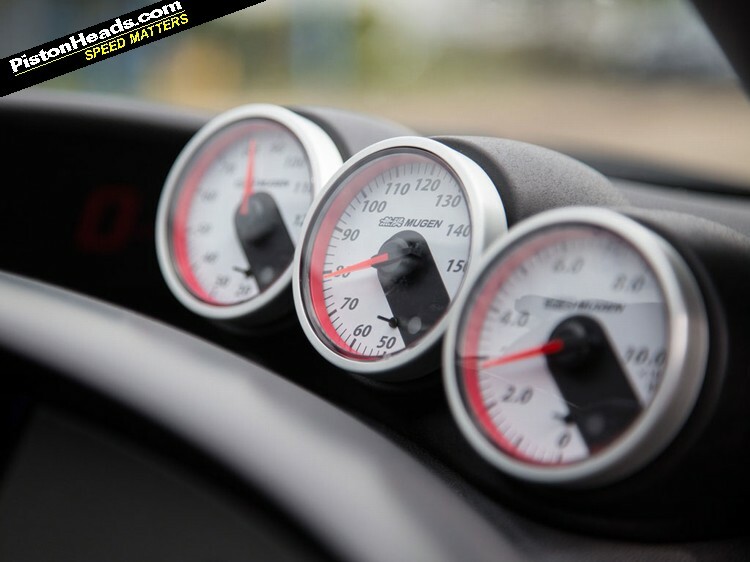 There's so little inertia to the way it revs, a trick even the best turbos haven't yet managed to replicate. It comes as a quite a surprise in fact. But soon the oil has warmed up. The slip road is clear. Third would more than suffice but second would be even better. 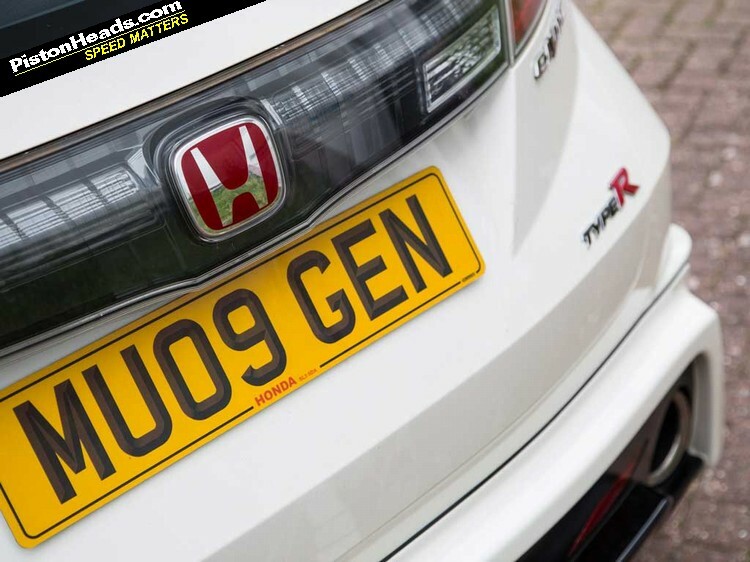 What was a free-revving engine at low revs becomes totally frenzied from 5,600rpm, the cam changing and noise hardening as the Civic now shrieks and sprints its way to somewhere nearly 9,000rpm. Good grief it's exciting. So exciting. Not exactly easy to access or even mega fast in the face of new hatches, but thrilling to a level they just wouldn't get. It's stunning. Second to third as quick as possible is just brilliant too, the shift weight, speed and throw beyond reproach. 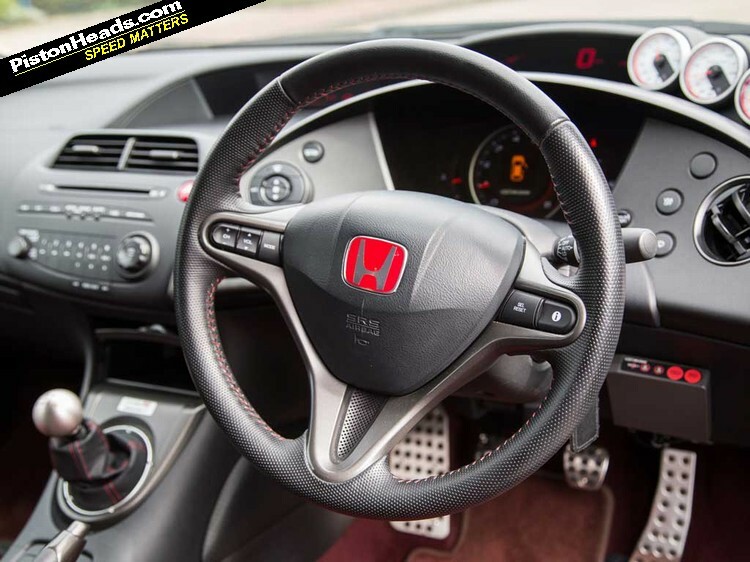 Honda is known for great manuals and this one doesn't disappoint. 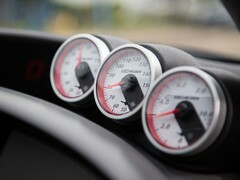 It drops the revs right back into the VTEC zone (yo) and you're off again but all too soon the motorway traffic is looming and it's into sixth to cruise with them. The Mugen feels built for a track, the uprated suspension lacking the compliance of the best hot hatches that work so well in Britain. I have no doubt it would be superb on a circuit as the grip just feels phenomenal and the upper reaches of the rev range would never be left. Those fleeting experiences of holding the brakes in second through a bend to then explode out the other side will remain for a while though. It's spectacular. 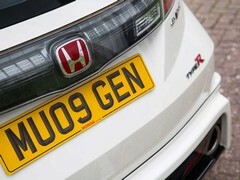 Given only 20 were ever made for the UK, it's not surprising to find no Civic Mugens for sale. 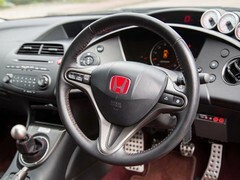 Especially as, a year after launch, four remained unsold and the 2.2-litre model was developed to encourage buyers. 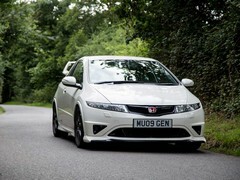 I also have no doubt that a new Civic Type R would be miles faster than a Mugen down a road and on a track. 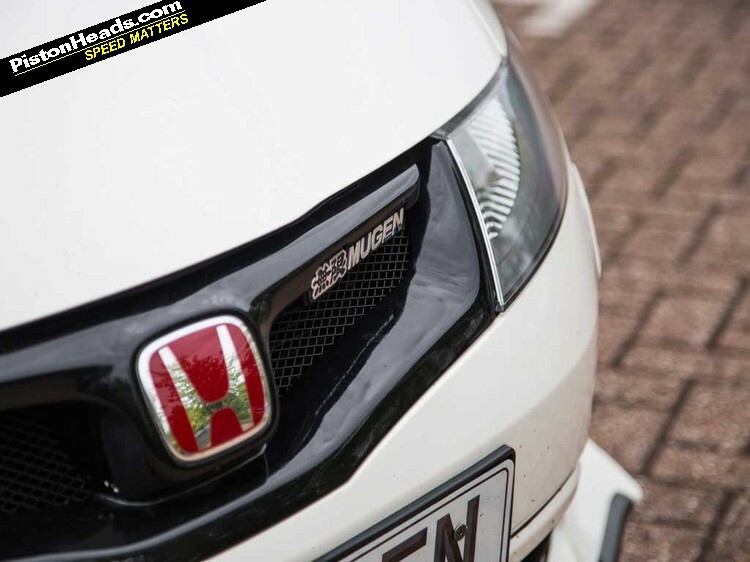 But that engine alone ensures the Mugen has very, very special place in the annals of fast car history and also in this little fanboy's heart. What a magnificent thing. 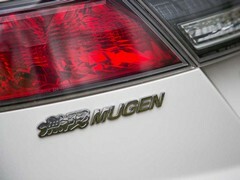 Unfortunately we didn't get any audio of the Mugen. See here for an old Autocar vid. The noise certainly comes across! Nope, they had the proper Mugen treatment. PH Service History - Automatically better?